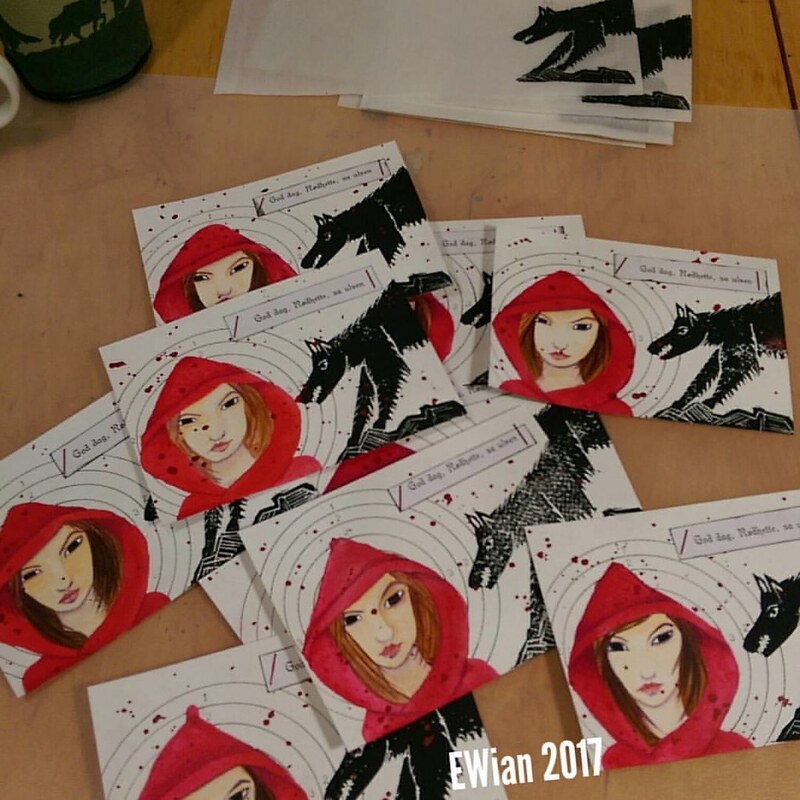 All cards with Red riding hood and the wolf are all done. Not all the same but similar enough to give the same feeling. 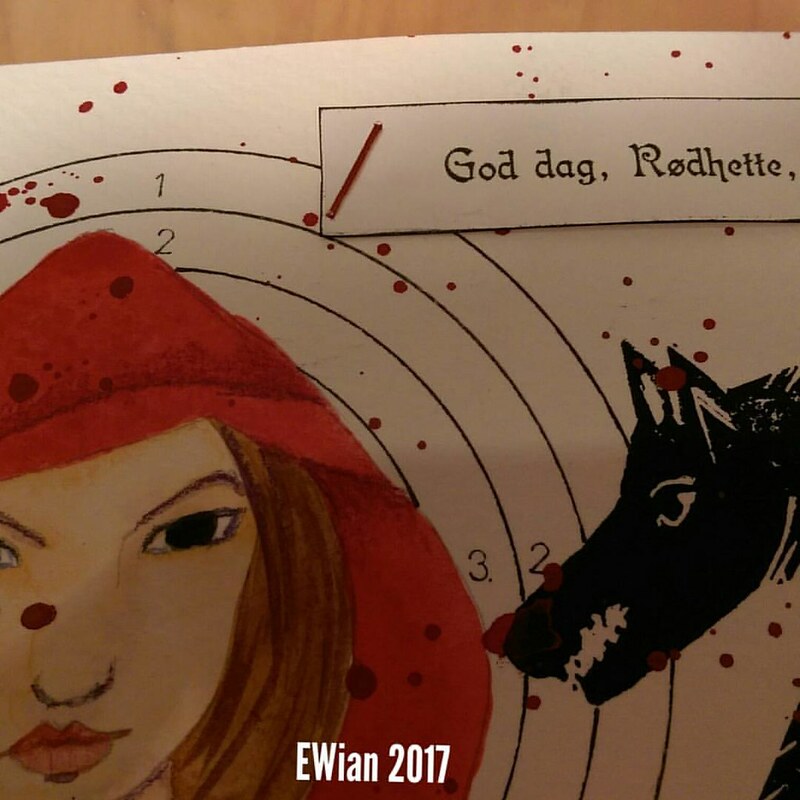 A little clip from the making of the Redridinghood postcard I am making for the iHanna swap 10 cards all in all. 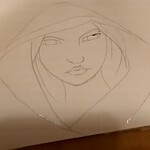 The postcards for the diypostcardswap is all wrapped up in glassenvelope or is the correct word vellum envelope? 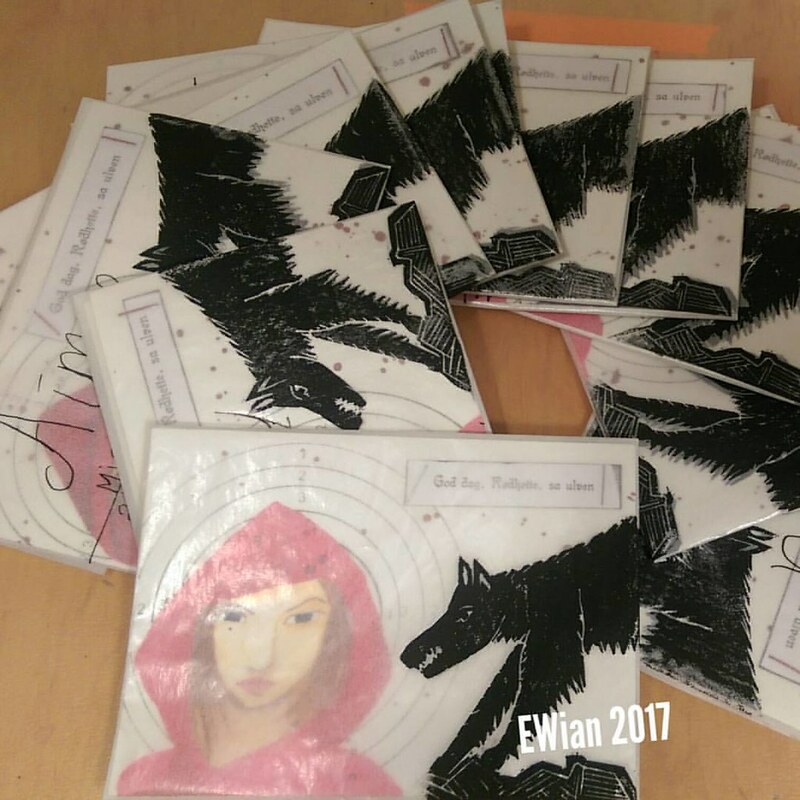 all ready to give the reciver a flash of the fairytail Red riding hood and the wolf.